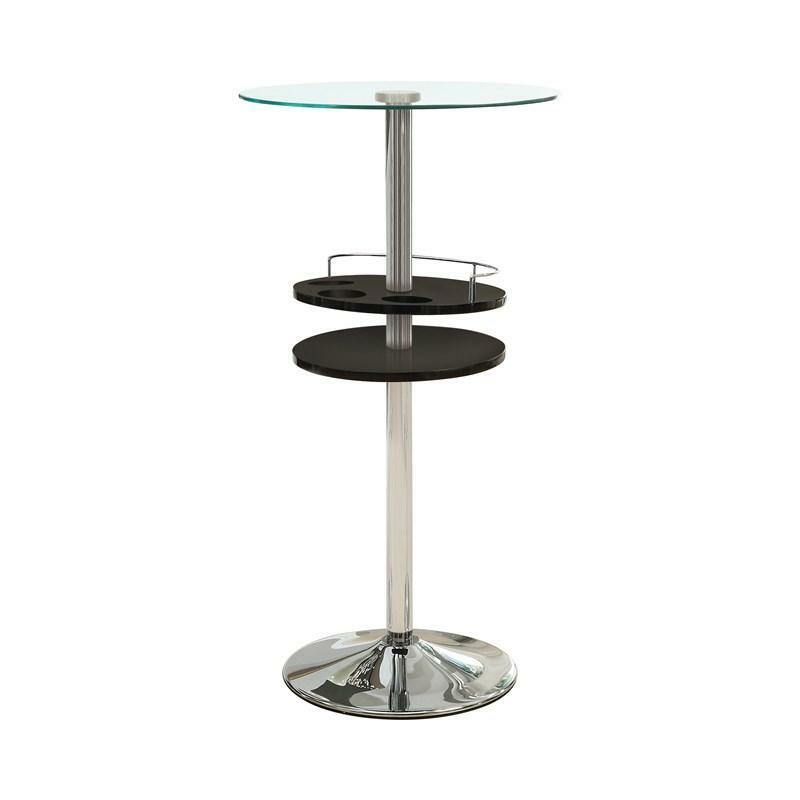 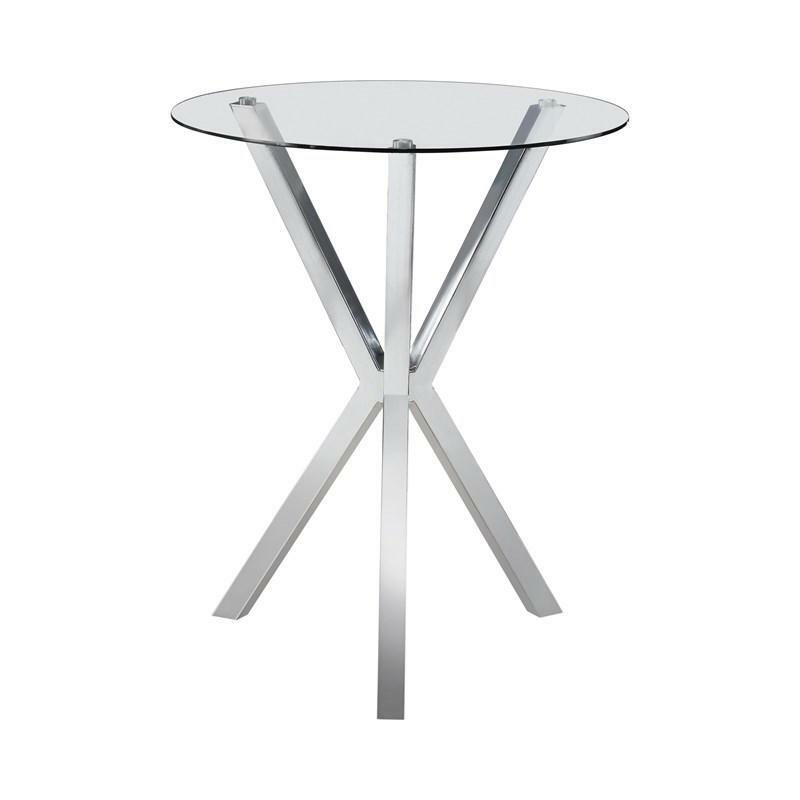 Coaster Furniture Dining Tables 100186 (Round) from Bedrooms Today ???????? 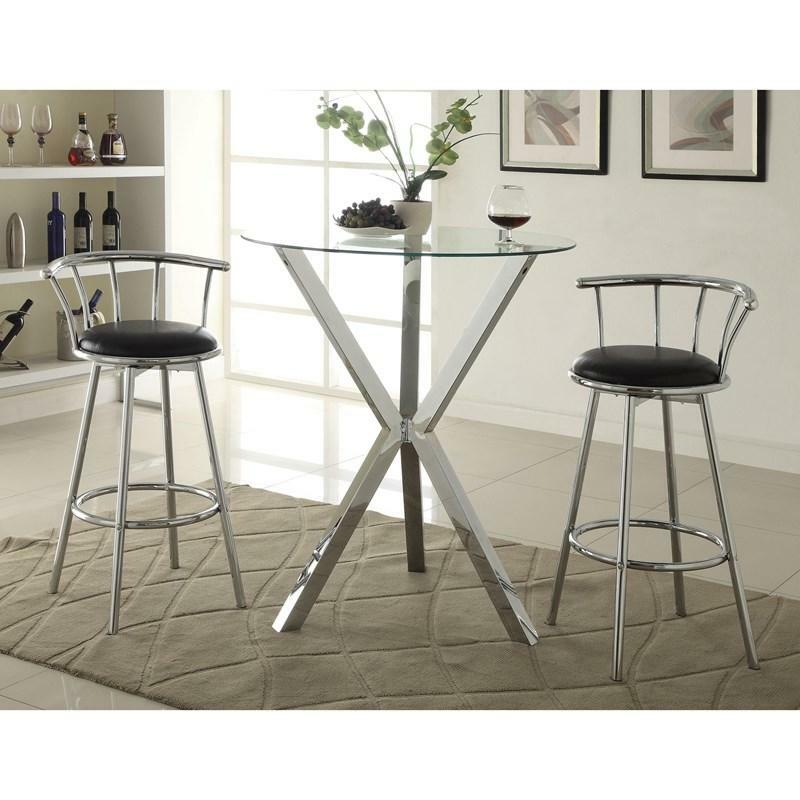 Bring a simple, functional set into your dining space with this bar set. 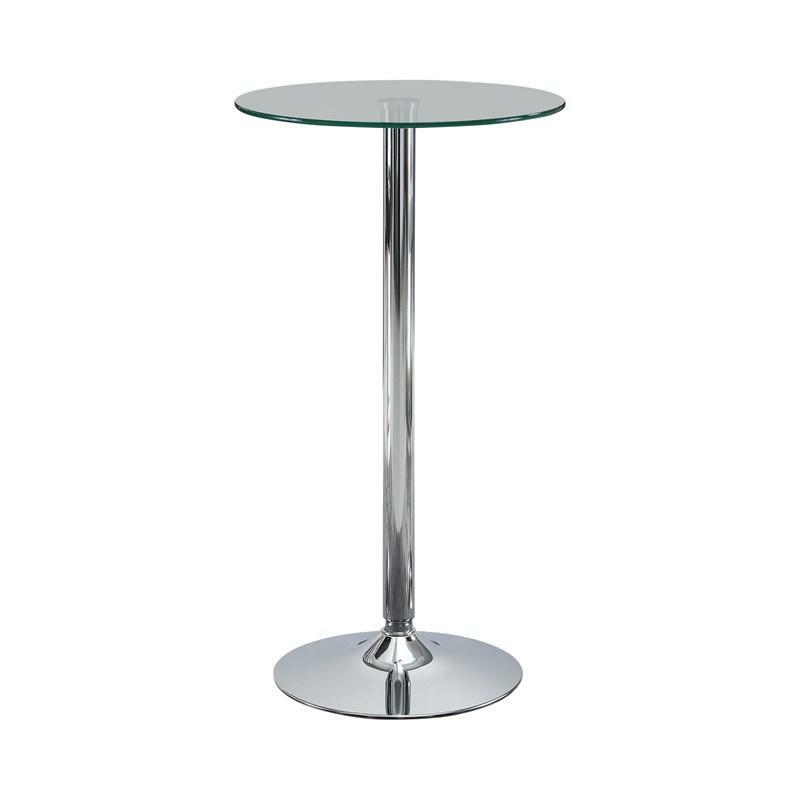 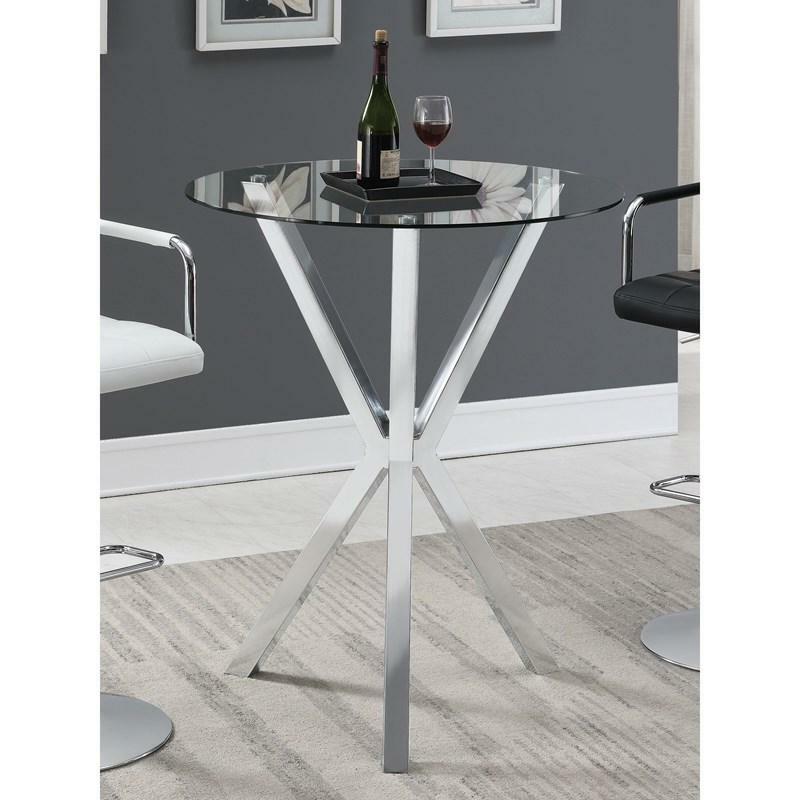 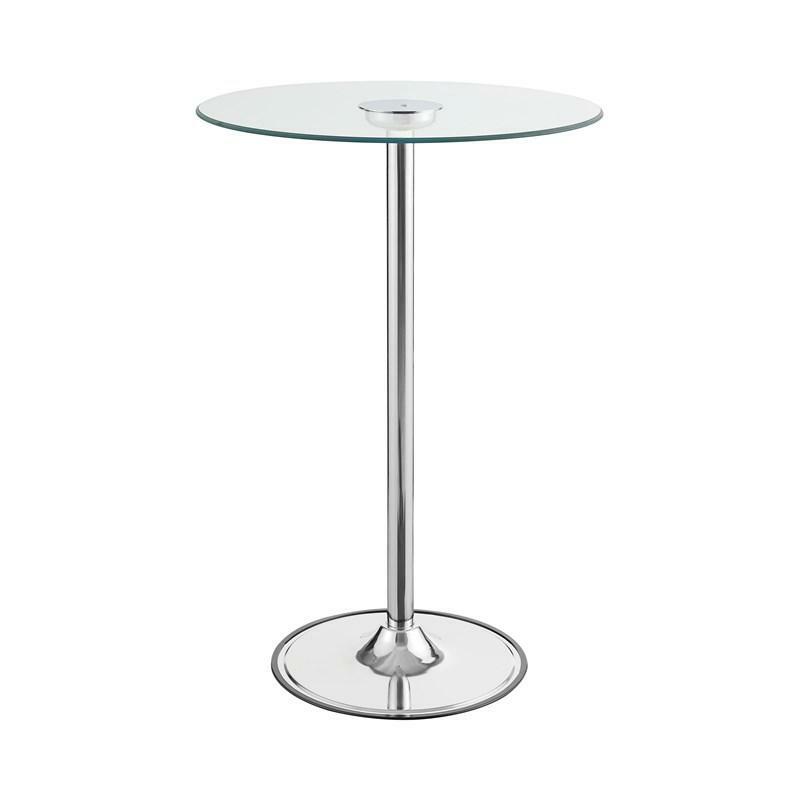 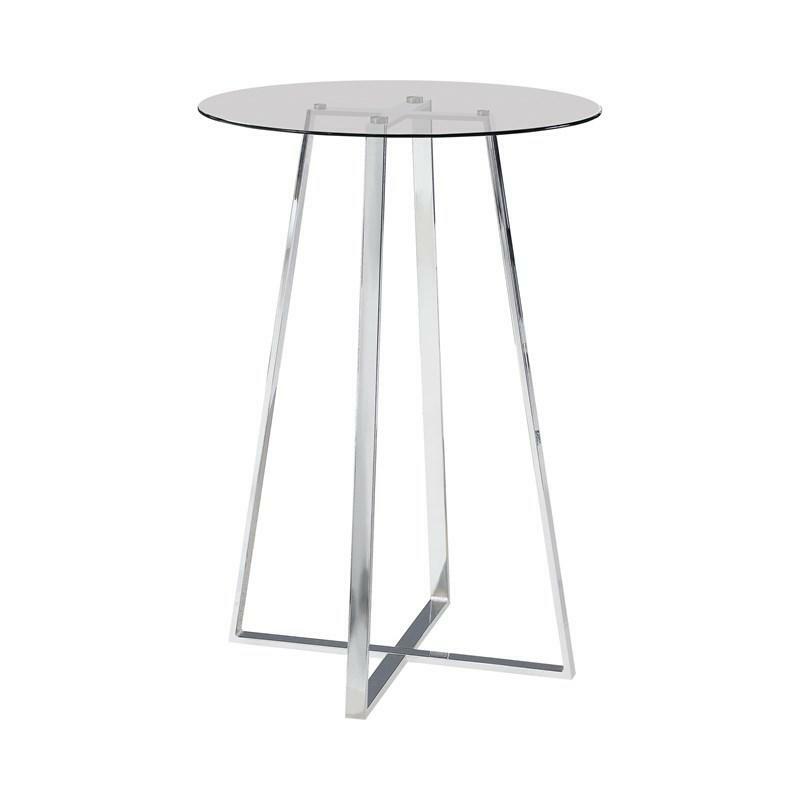 Contemporary in style, the table is lifted on an “x” shaped chrome base with table top glass so everyone can admire the table'slook. 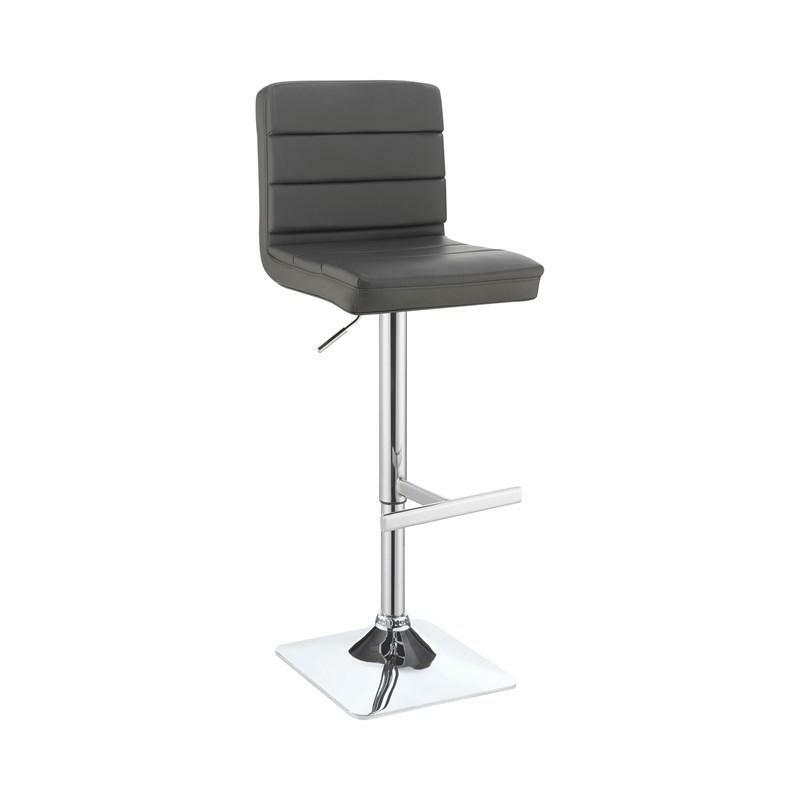 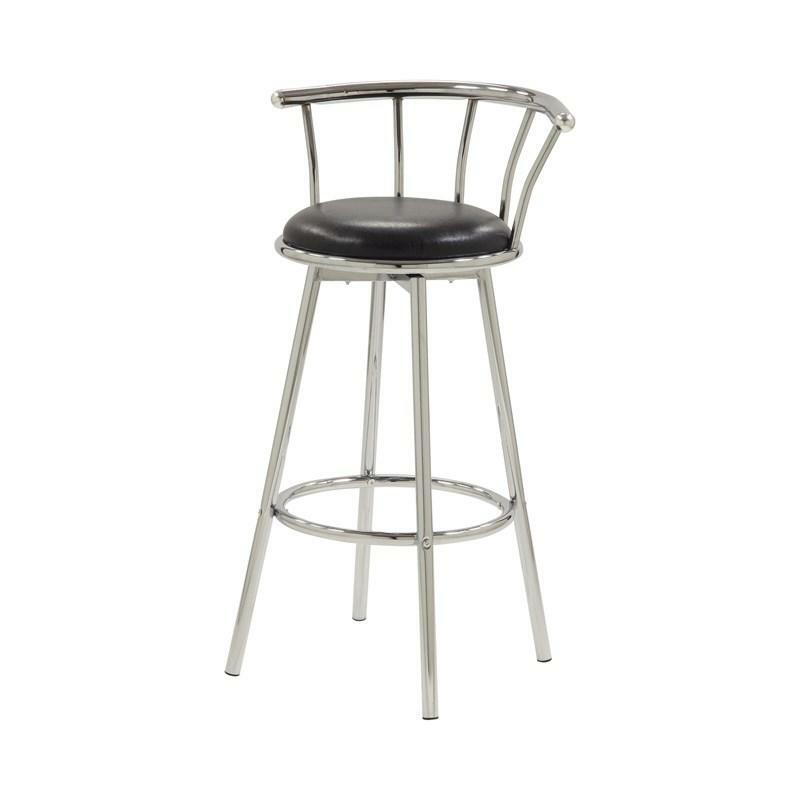 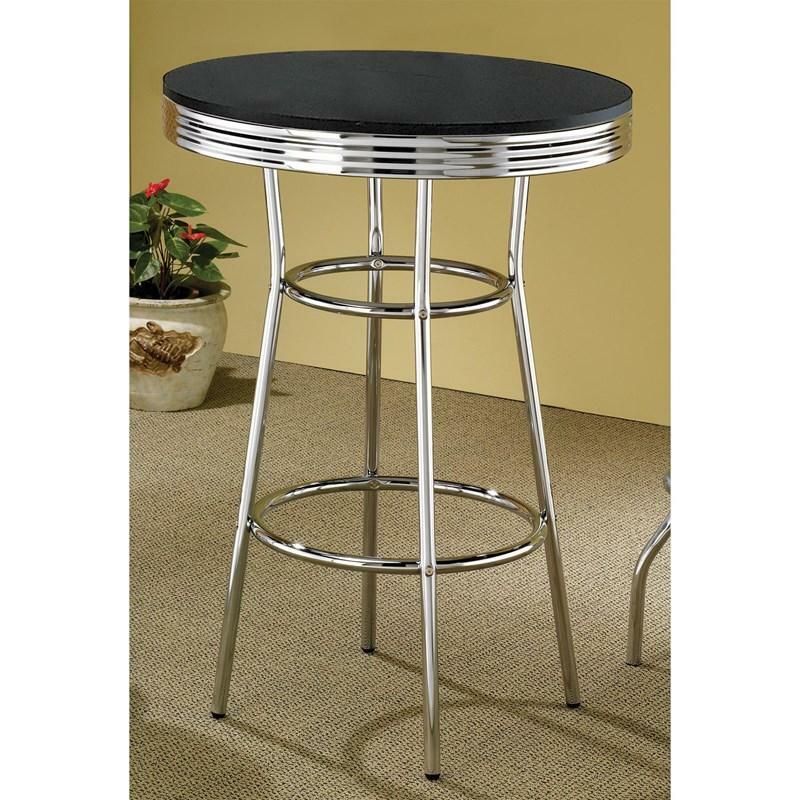 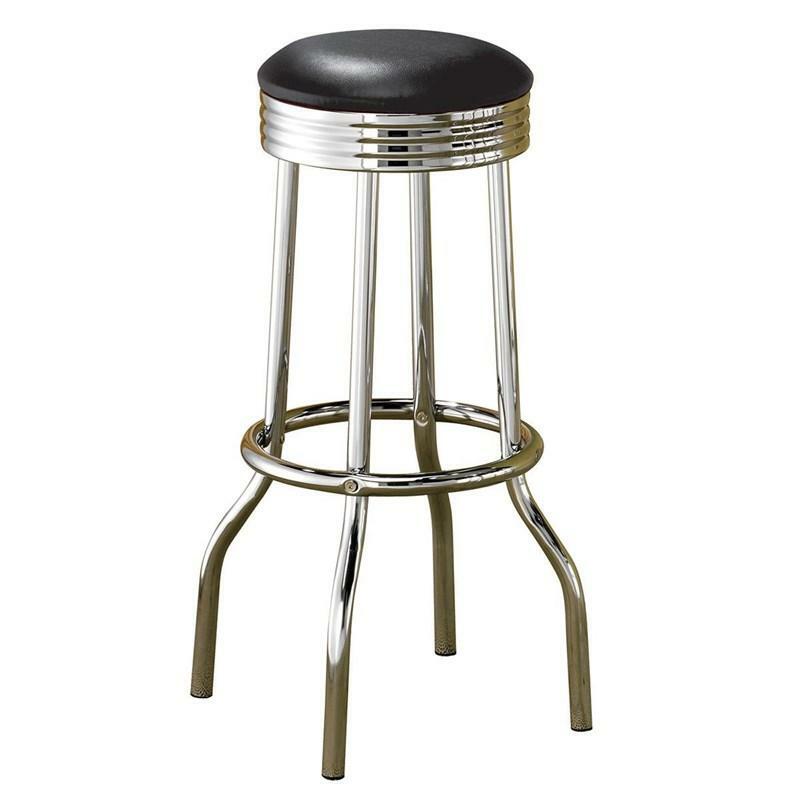 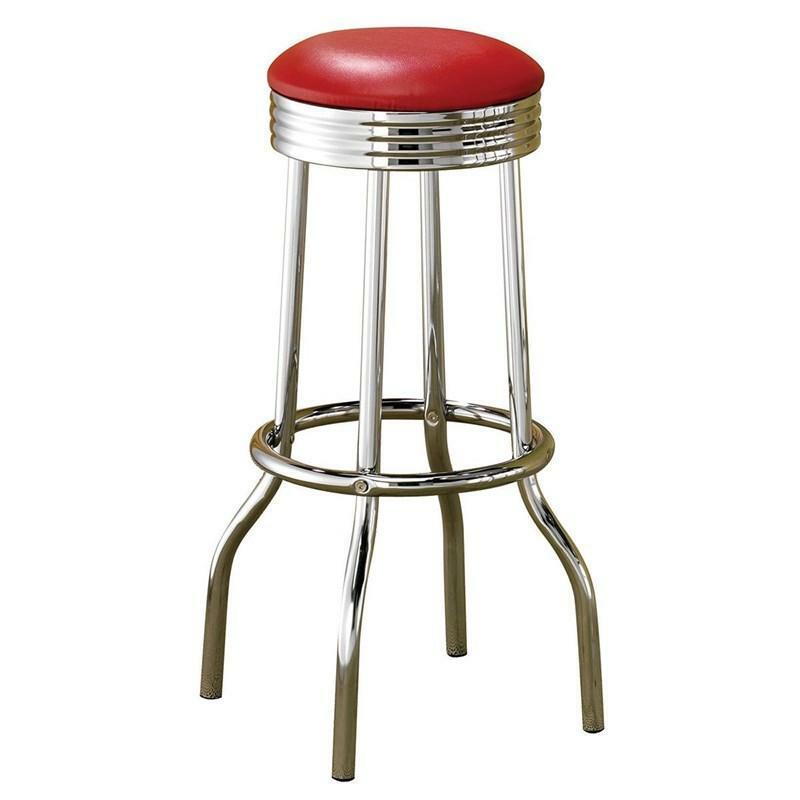 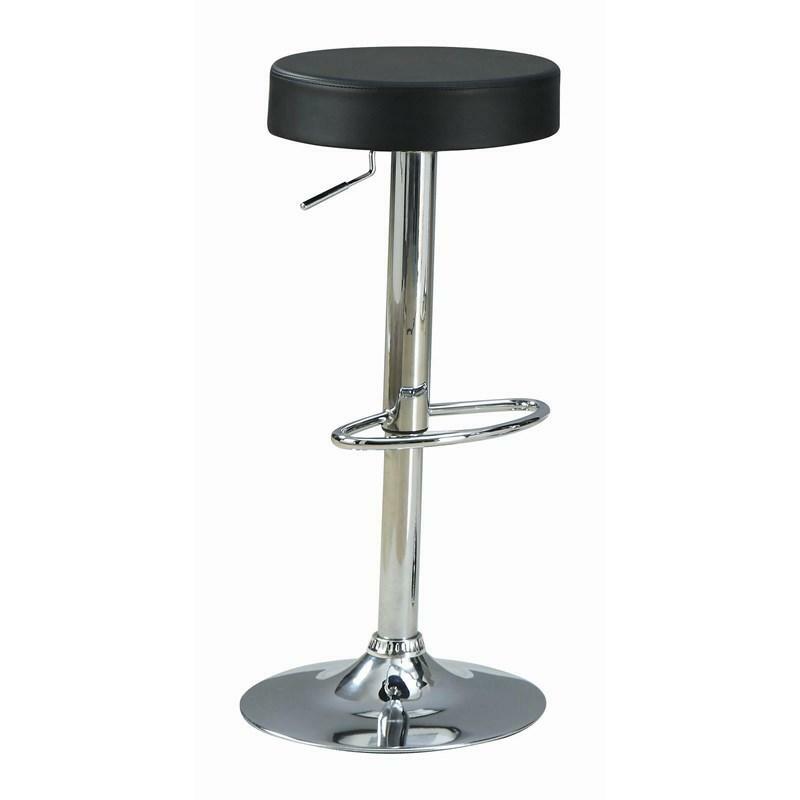 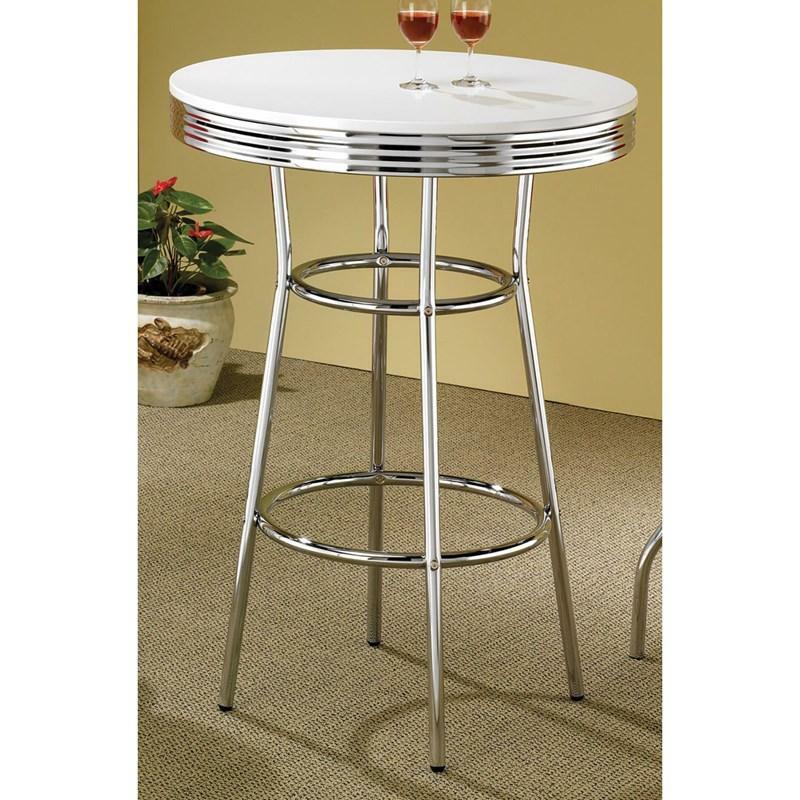 Pair with a matching swivel bar stool as shown.